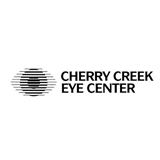 Cherry Creek Eye Physicians and Surgeons, P.C. (Denver) - Book Appointment Online! The physicians at the Cherry Creek Eye Physicians and Surgeons, P.C. have been changing the standards of vision care since 1982 and have provided Denver-area patients with uninterrupted, high-quality service. I was very pleased with my visit. Tammy Gray was very helpful in answering my questions.